St. Louis Public Radio's Eli Chen explains Boeing's role in the developing drones that can communicate with each other. 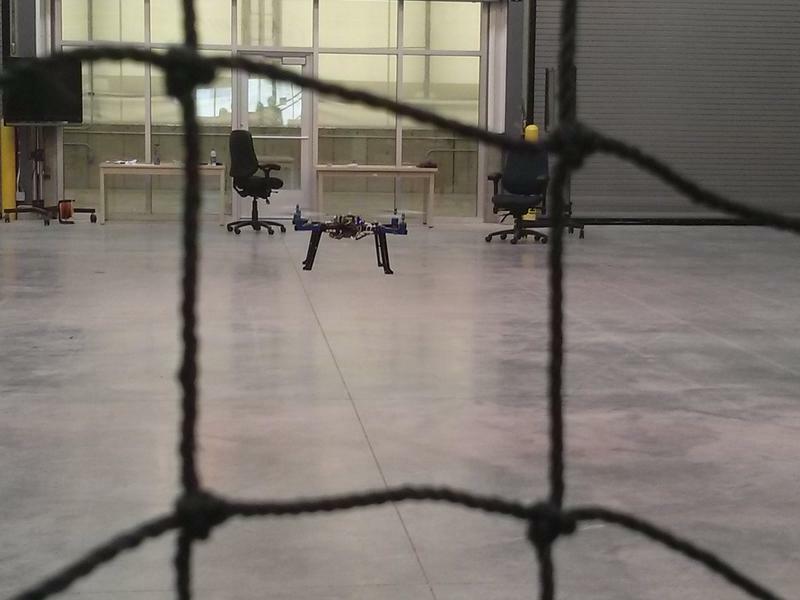 Boeing is among the leaders in such research, testing collaborative drones in its new laboratory, an 81,000-square-foot warehouse where the company tests the ability of drones developed by universities and businesses. In the near future, drones could handle such complicated tasks as surveying natural disasters or conducting search and rescue missions. Although unmanned vehicles already can help people perform such jobs, military and business leaders hope drones will one day communicate with other machines to accomplish such missions more effectively. 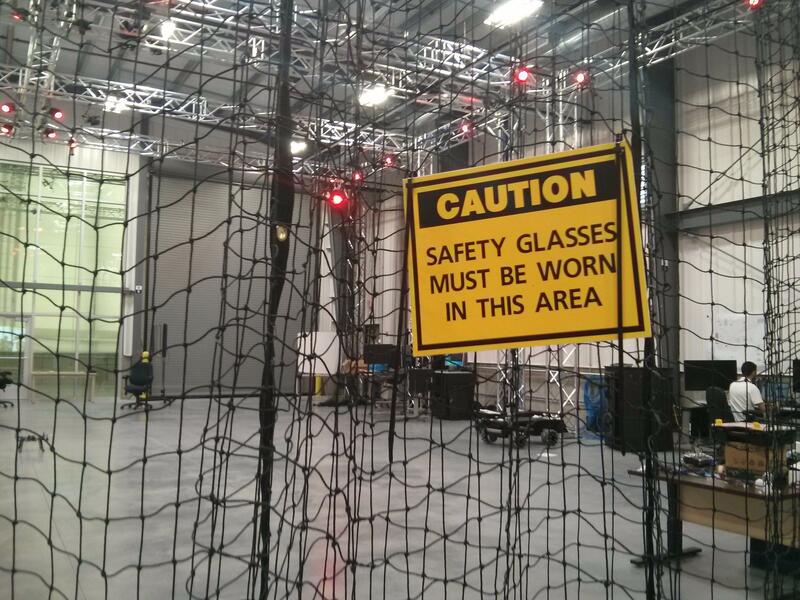 At Boeing’s new facility, researchers are testing systems that could help make that possible. The new laboratory looks like a film set, with a system of motion-capturing cameras that lets a drone know its exact position in the room. “It’s the same technology they use in the movie industry,” Abraham said. Engineers at the laboratory recently conducted an experiment where an unmanned air vehicle and an unmanned ground vehicle had to communicate together to resolve a disaster. In the simulation, the machines had to work together to shut off a makeshift gas valve. The air vehicle scanned the area for a usable path to reach the valve and sent directions to the ground vehicle. Research has shown that using multiple drones is more effective and efficient than using one. For example, a 2014 study conducted by the RAND Corporation found that, in a “hunter-killer mission,” a remotely piloted unmanned aircraft could track a target well. A group of drones performed better than one drone, even though the sole vehicle had more sophisticated features. The Air Force commissioned that study to learn how to make drones more cost-effective and more advanced than the ones used so far in Iraq and Afghanistan. If teams of drones could be programmed to carry out missions on their own, the armed services would need fewer people to monitor them. “For some of our military customers, we want them to get more and more automated where vehicles are pretty much reacting by themselves and then informing everyone else what they’re doing,” Abraham said. Additionally, autonomy can improve safety, particularly so that one vehicle does not accidentally collide into another. “You don’t want to wait for a human operator to say, ‘yes, avoid that other aircraft,’” Abraham said. However, challenges remain in developing such technology. Maintaining communication between a group of drones, for instance, isn’t easy, Menthe said. Any number of things can cause lapses in communication between two devices, similar to how cell phones often drop calls. Also, placing trust in a team of drones that can operate on their own presents an ethical dilemma that’s worthy of science fiction literature. For Menthe, what’s more important than making sure two drones can talk to each other is ensuring that human handlers maintain control over the technology. The algorithms being tested at Boeing’s new laboratory are critical in developing faith that the machines will perform as intended.